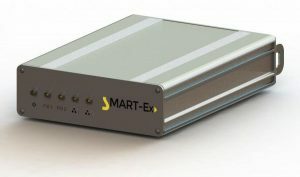 P-Ex Series Transceivers have inherently safe fiber optic output connections conforming to ATEX ‘Exop is’ for transmission in Zones 1, 21, and M2 hazardous areas. By hooking up to another managed or unmanaged switch, up to eight copper ports or two fiber optic ports can be connected upstream and communicated into the hazardous area. Therefore the fibre cables can pass into Zone 2 and Zone 1 areas and connect to suitably approved and compatible link-partners such as HMIs. 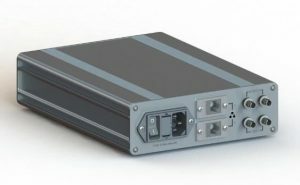 The 1700-Sa functions as an un-managed Ethernet switch with both fibre and copper ports inter-connected internally. No configuration is necessary.